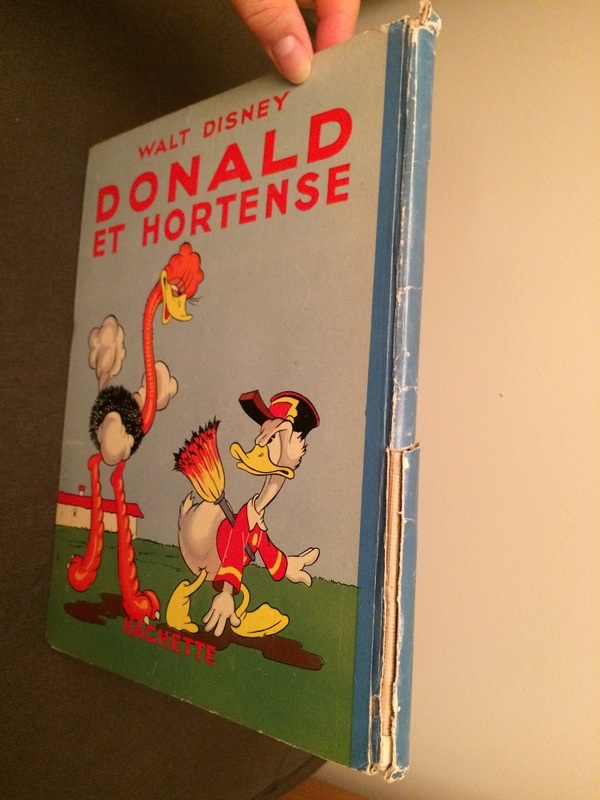 This is my first antique book and I am so excited. 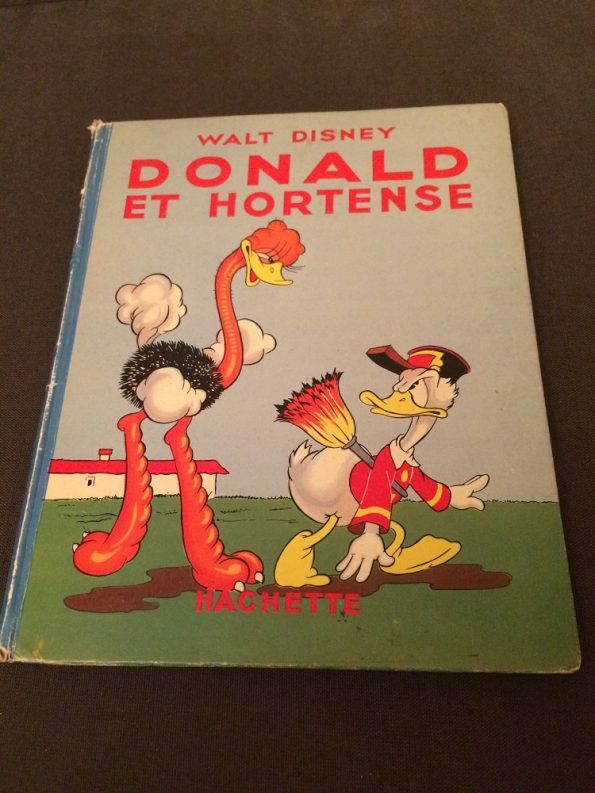 I got it from an antique bookshop in Mainz, Germany. Well, it is probably a vintage book rather than an antique book, since it is published in year 1938. 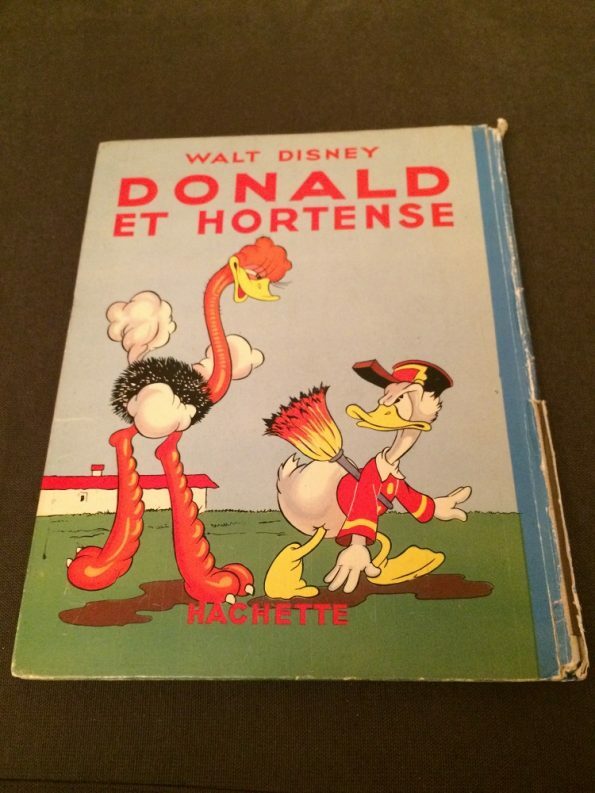 The book title is ‘Donald et Hortense’ by Hachette. It is written in French. 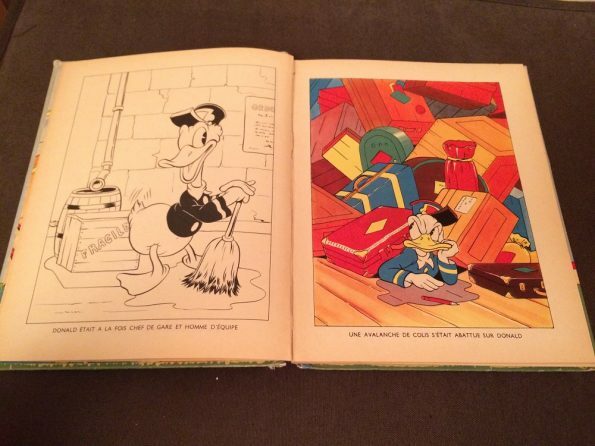 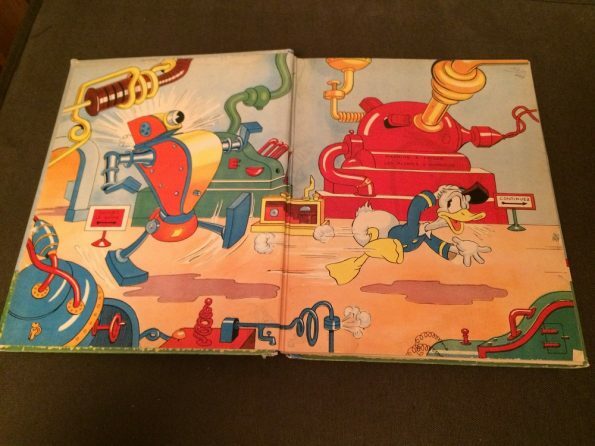 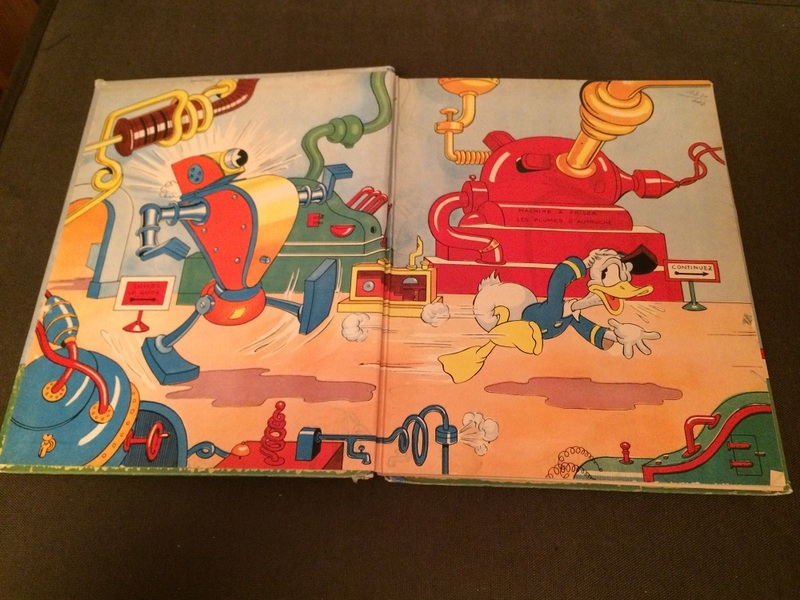 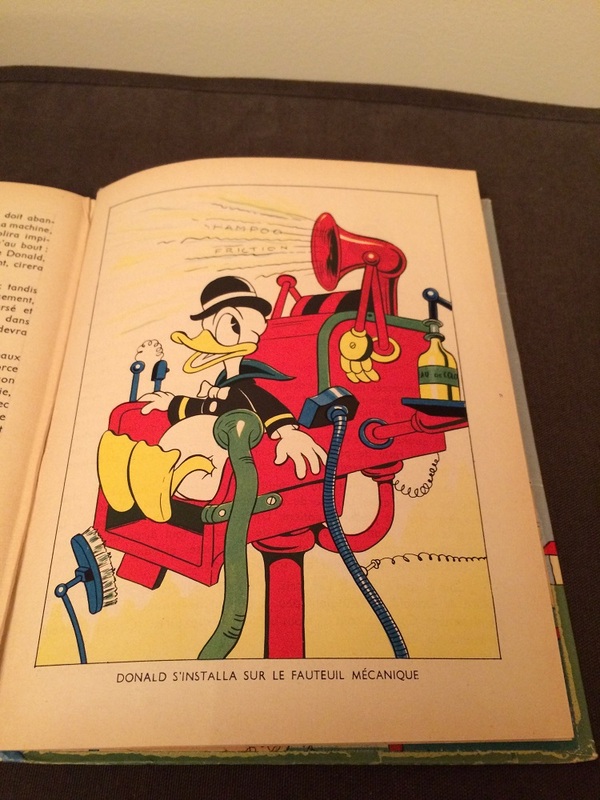 The illustrations of the book are by Walt Disney. 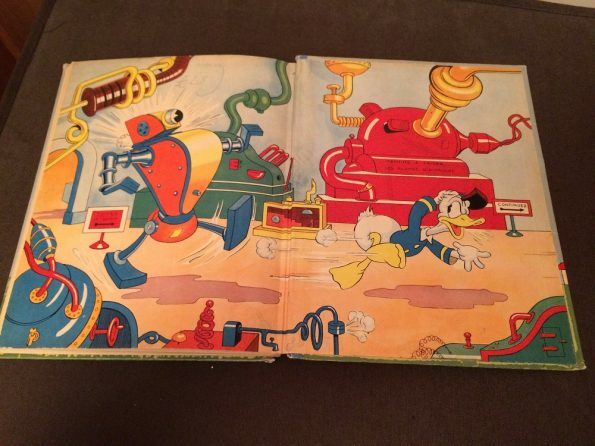 The book has copyright of 1938 by Walt Disney Mickey Mouse S.A. 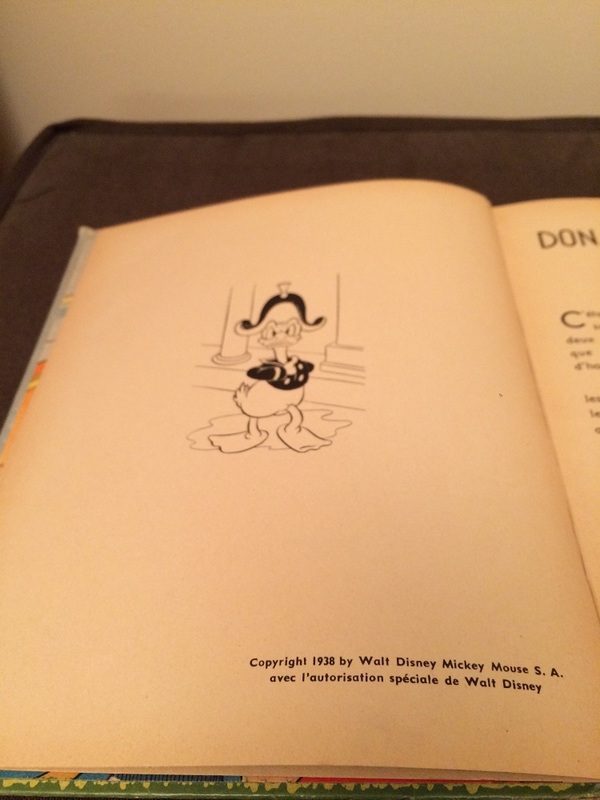 Therefore I must make an acknowledgement that all pictures that I uploaded here are solely the copyright of Walt Disney and all credits should go to Walt Disney Mickey Mouse S.A. I believe this is the first edition of the book. 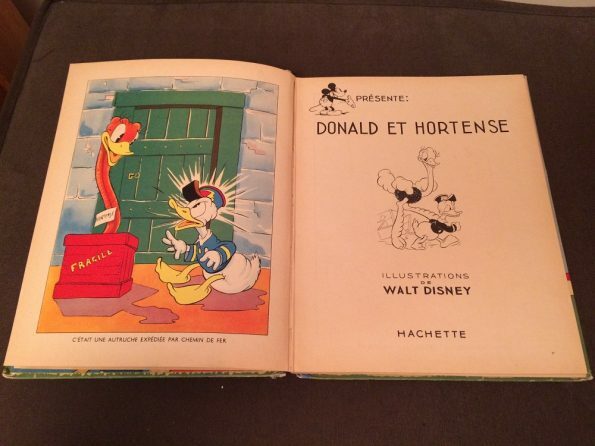 Copyright 1938 by Walt Disney Mickey Mouse S.A. 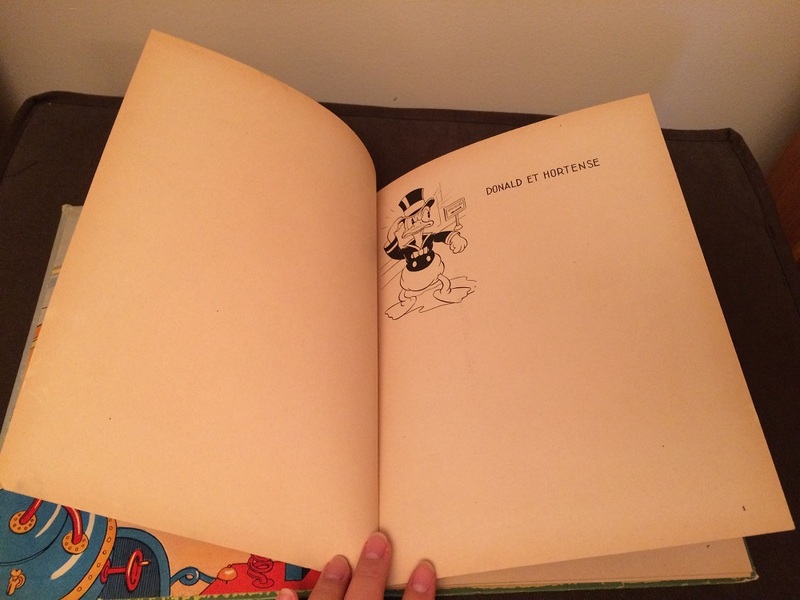 It has this illustration below on the first and on the last page of the book. 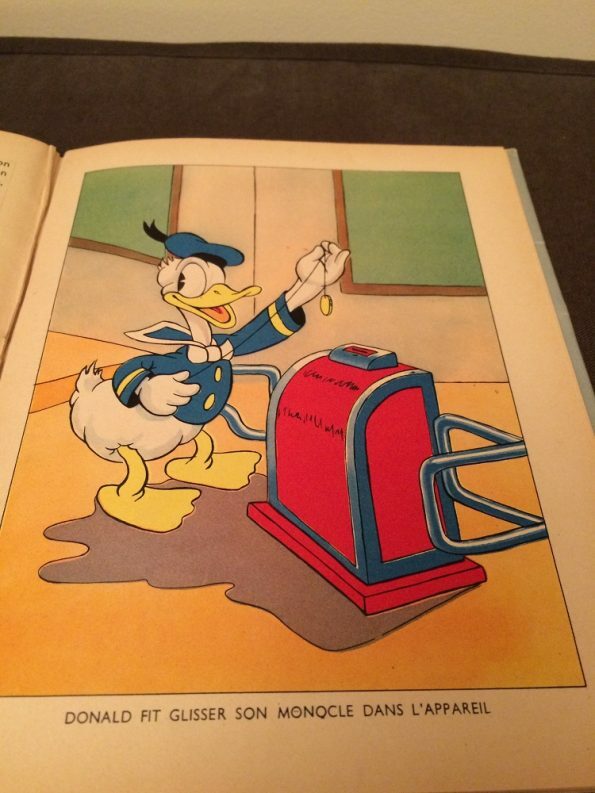 And below is page number 1. The binding of the book is a little bit off at the bottom. I really like this book, all the colour is still vivid. 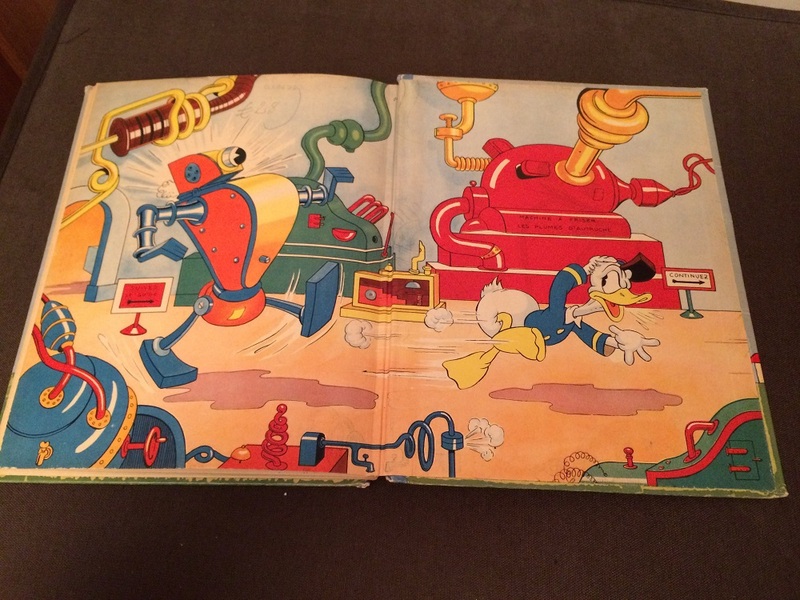 It is amazing to think that this book was published in 1938 with all illustration colour still visible today.